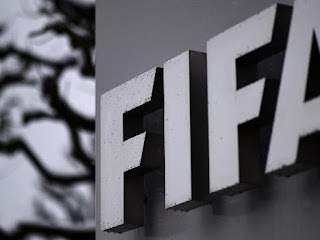 Throughout the years, FIFA has implemented several changes of regulation with the intention of improving the spectacle of soccer and has implemented several of these changes after the world championships. For example, the impossibility for the goalkeepers to catch the ball with their hands if a teammate passes them came after Italy 1990. When Russia 2018 finishes, there could be news, as announced by the ex-football player and current deputy secretary of FIFA, Zvonimir Boban. The Croatian explained in an interview that Sport Bild has conceded that the governing body of world soccer plans to test three regulatory amendments in the upcoming youth tournaments. One of the new implementations will be related to the archery. Currently, the players who receive the ball must be outside the area, but if the changes are approved: the player who receives a pass from his goalkeeper when he gets off the goal will not have to wait to leave the area to touch the ball, while the attackers will not be able to enter that area until it happens. This would revolutionize the way to play from the beginning, an idea that several teams on the planet have adopted for some years. Due to the possibility of receiving without any mark by the defenders that are located within the area, the serves of bow would be expedited and would not demand so much time. Another situation that FIFA intends to eliminate is the delay in substitutions, since certain players who have to leave "sometimes feign problems to lose time and disturb the pace of rivals. "To solve this problem, FIFA gives the referees the power to "order them to leave the field anywhere," Boban said. The last aspect is to control the behavior of the technical directors. According to the current regulations, the only ones that can be reprimanded are the soccer players -even the substitutes-, while if the coaches commit an irregularity they are expelled. If the changes are successful, the referees may also show yellow cards to the preparers. That warning "will inform the coach that he has to control his temper, otherwise, he will be expelled," Zvonimir Boban has detailed.